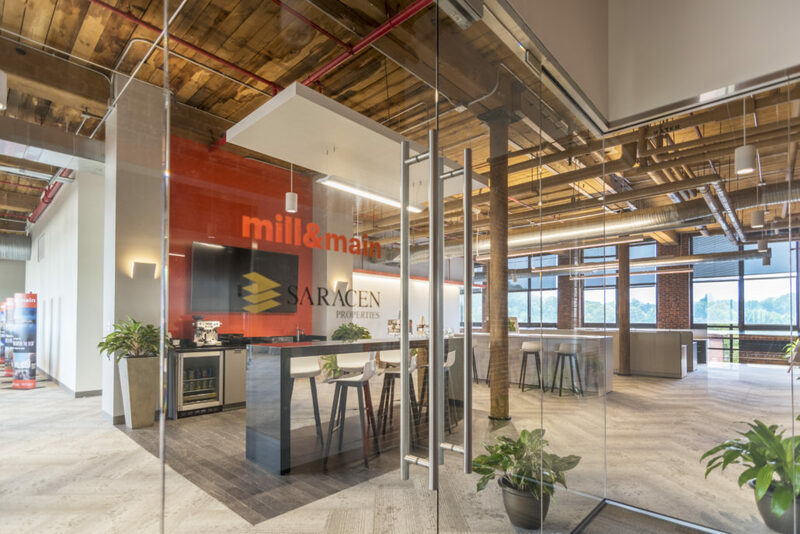 Saracen Properties engaged VC to design their new Marketing Suite at Mill & Main. 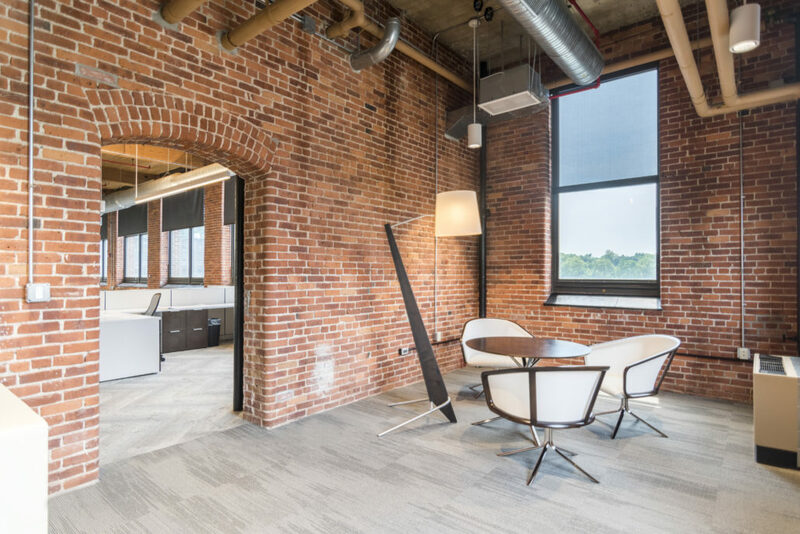 Saracen wanted to create a space that can be used to showcase the character of the building’s brick and beam architecture as well as serve as a functional workspace for the onsite leasing and property management teams. 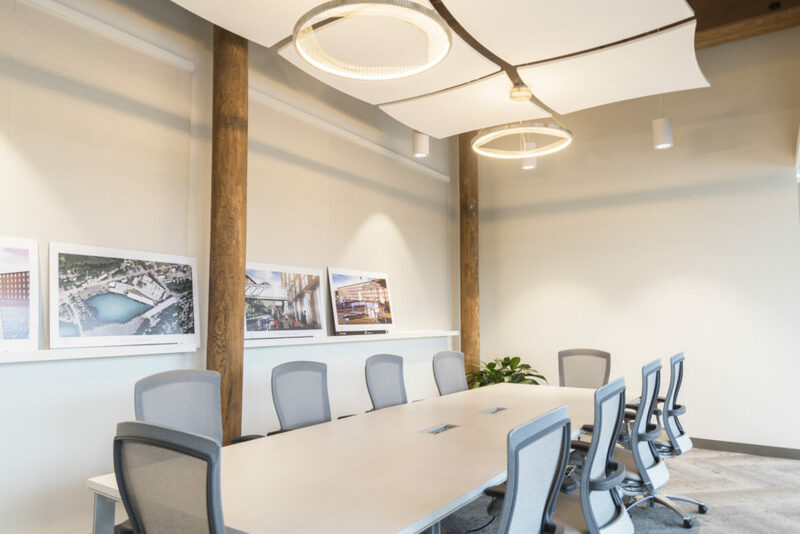 VC was challenged with the task of developing a concept to help prospective tenants visualize the potential of embracing the unique characteristics of the building. 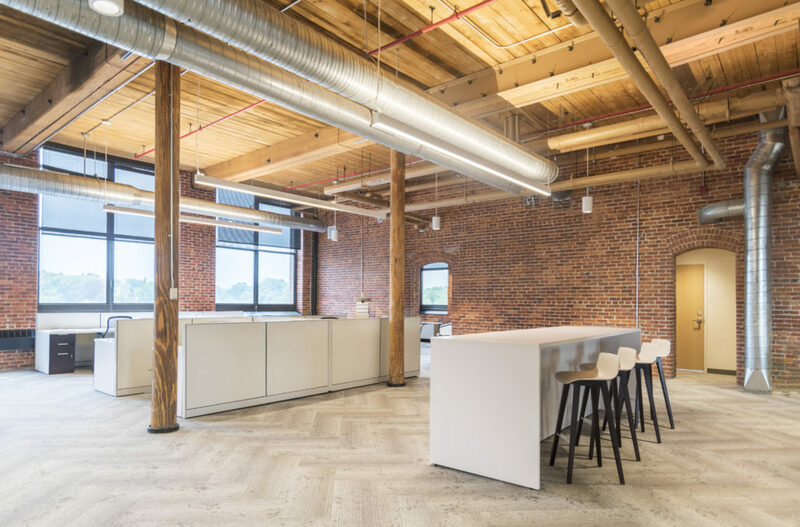 Exposed brick and the open beam ceiling offer tenants a unique aesthetic. 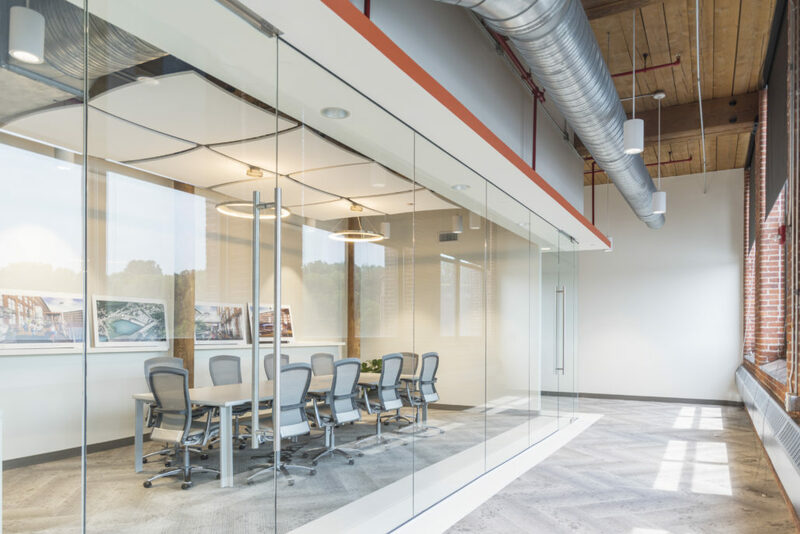 VC’s design concept centered around introducing glass and organic forms to complement the more solid and linear forms of the brick and beam architecture. 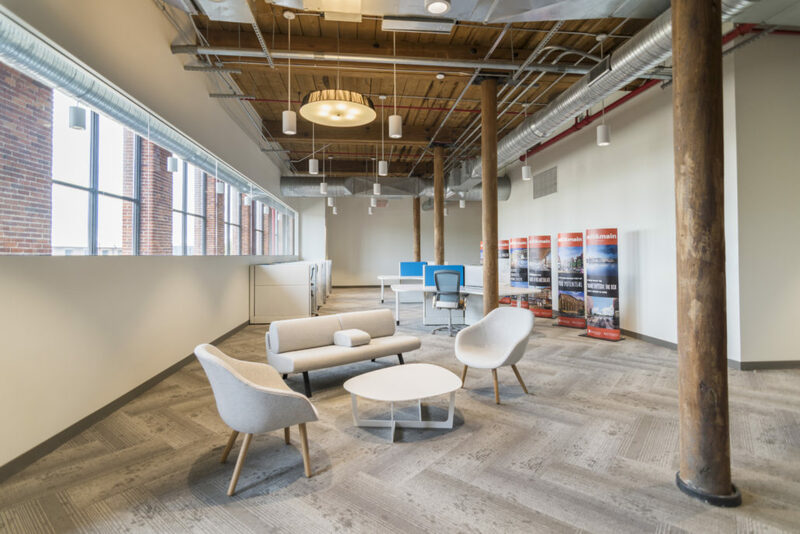 The result was a contemporary and sophisticated work environment that highlighted the old world charm.